Often we are trying to change the people around us. We want them to understand our feelings and we want them to know what is on our mind. But the reality kicks in, when you know that not everybody can understand how you are feeling. Life is a journey that you are taking alone. Along this journey you will find people who feel similar to you or who can understand you. Keep these people close to you and create your own (chosen) family. 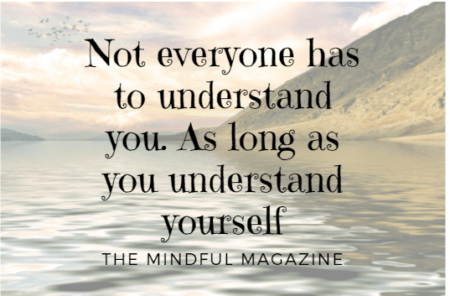 If you are on your spiritual journey, and you are trying to make others understand how you are experiencing this, it will be difficult. Remember the times before you were on this journey. You wouldn’t have understood any of it. I never understood vegetarians/ vegans, until I became one myself. Leave everything up to your own speed of understanding, and let others be on their journeys. They might come to the same conclusion in this lifetime, or it will be given in another one. Whatever journey you are on at this moment, it is yours to experience. Like me, I started a blog to share my experiences with others. The people who resonate with it, will keep reading. For others, they do not have interest for this subject, because it simply doesn’t fit their life plan. Just accept things the way they are. Accept the things you can’t change, and they will be a heavy burden of your shoulders. Previous Post Travelling or settling down… reality check?